Our TeenBusiness Top Twenty entrepreneurs and innovators for 2014 was compiled based on our global research. The criteria for making the list included one or more of the following: the actual or potential positive impact of the business or innovation on society, the originality of the business or innovation, and the actual or potential revenue associated with the business or innovation. We tend to avoid including the children of celebrities or actors/actresses unless their accomplishments are, for the most part, unrelated to their celebrity status. The list is in no particular order -- all of the TeenVestors shown here are winners. Colorado has a history with gun violence so it’s only appropriate that 17-year-old Kai Kloepfer, a high school student from Boulder, Colorado would want to apply biometric user authentication to firearms. Kloepfer just won the $50,000 Smart Tech for Firearms Challenge for his smart gun prototype. Ed Hardy is the co-founder and CEO of Edge Mobile. The company's skiing app, Edge, can track your performance along mountain routes using GPS and allows you to challenge friends. The app is intended to make money through resorts and venue operators paying for the data it collects, and by hosting sponsored challenges. Kenneth Shinozuka, 15, won the Scientific American Science in Action Prize. His goal was to help his wandering grandfather with Alzheimer's stay safe and give his care giving aunt some peace of mind. The New York City teen’s grandfather is living with the disease, and Kenneth noticed his grandpa would often wander out of bed at night, sometimes injuring himself.Fellow Boy Scouts who volunteered with Kenneth at nursing facilities discovered other Alzheimer’s patients wandered, too. This inspired Kenneth to invent a small sensor an Alzheimer’s patient wears on his or her foot. At the 2014 Radio Disney Music Awards on April 26th, 2014, Matthew Kaplan was awarded for his commitment to his community as one of three "Heroes for Change!" Shakira presented the awards. Matthew won for his anti-bully program, the Be O.N.E. Project. 16-Year-Old, Erik Finman, Starts Online Tutoring Service With His Bitcoin Profits. Erik Finman is the founder of Botangle, an online education program that links students with instructors around the world -- a pretty remarkable accomplishment, considering he's only 16 years old. It's not how most 16-year-olds spend their time, crunching through the last snow cover of spring amidst an elaborate system of tubing, capturing one of nature's sweetest gifts. Joshua Parker launched Parker Maple Farm from his rural family home in Canton, N.Y., aiming for success in a long and storied tradition, turning sap to maple syrup. "My goal for this year is 1,500 gallons," said Parker. "I think it's realistic, but it all depends on what nature brings." Martin Garrix (from Amsterdam, Holland) celebrated finishing music academy classes in June 2014 by partying with hundreds of thousands, first in Warsaw, then Las Vegas (twice), then Dover (yes, Delaware) and then back in Vegas. Such is life when you’re the fastest-rising act in electronic dance music. In the span of 12 months, the 18-year-old Garrix not only completed school, but went from a being a literal spectator at the world’s largest music festivals to performing on their main stages, propelled by a Top 10 hit, savvy business partnerships and a certain self-awareness that’s often lost on young stars. “It’s crazy to see how much has happened in such a small time period,” says Garrix, sprawled out on a copper couch inside Las Vegas’ Hakkasan nightclub. 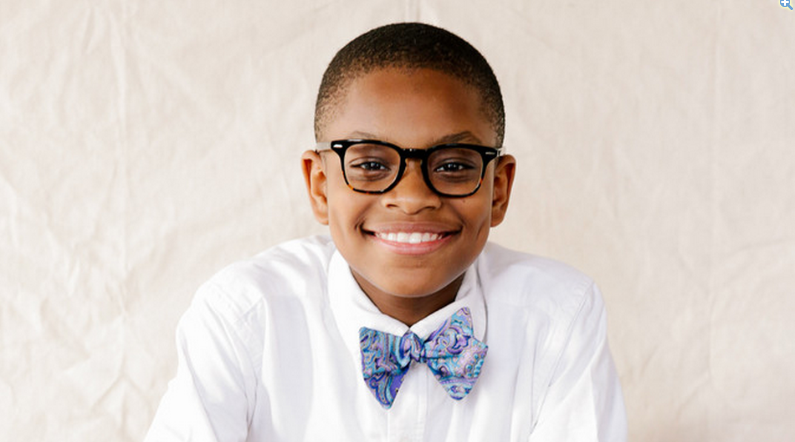 If you watched ABC’s Shark Tank on March 14, 2014 you probably came away impressed by 15-year old inventor and entrepreneur, Carter Kostler from Virgina Beach, Virginia. Carter saw some disturbing statistics about childhood obesity and witnessed first hand at his own school the rampant consumption of sugary sport and soda drinks by kids. He knew there had to be a better portable drink solution and decided to innovate from something he saw in his own home: fruit infused water. With support from his parents on the industrial design, patent attorneys and manufacturing, Carter was able to create the perfected Define Bottle.